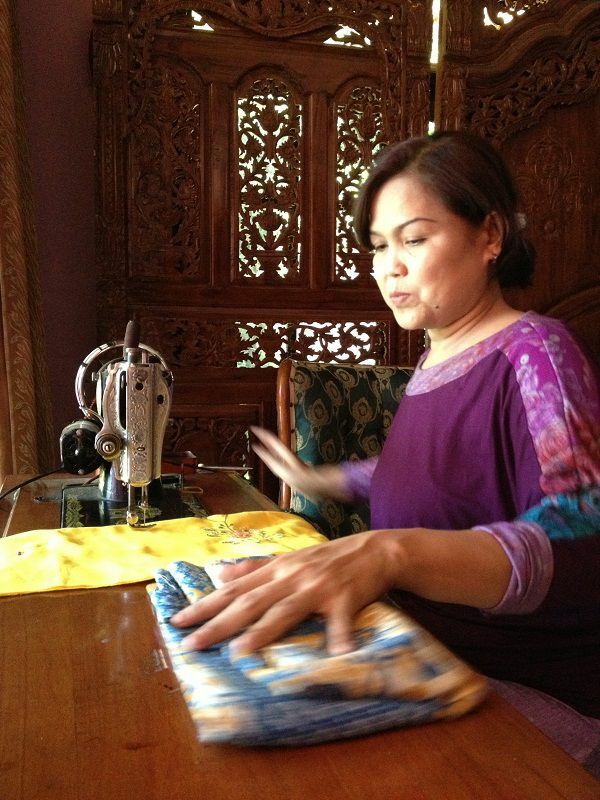 Discover how business training and micro-savings transformed a family in Indonesia. Setiowaty has been a member of a community savings group for over six years. With access to business training, savings, and small loans she has been able to grow. Nuriah's business relied on funding from loan sharks who charged exorbitant interest for quick cash. When she gained access to secure savings and low interest loans, her family and business both benefited. Nurhasanah's small business on the outskirts of Jakarta has grown after she accessed community financial services and received mentorship and training in financial management and business development. Small businesses are transformed through the power of community savings. Read the story of Susilowaty in Indonesia. Eviction and resettlement are common for the urban poor of Indonesia. Migrants in search of opportunity in the city find a cycle of poverty and displacement. Financial inclusion in Indonesia opens up opportunity for the urban poor. Read Darmawati's story. In this interview, Supiati, a micro-business owner outside of Jakarta, shares her story and discusses the impact her husband's medical condition has had on her income-generating activities. Winnie escaped money sharks and learned to build a small business using community resources. Business training and access to financial services transform survival businesses into sustainable enterprises. A case study from Jakarta, Indonesia. Sumarti, a mother of five in Indonesia, runs a small canteen selling local food, pancakes and ice pops, turning her favorite hobby into a micro-business. "What I like to do in my life is cooking. It is something I will do until I grow old," she said. Since joining a loan group in Jakarta, she has used micro-business loans of $85 to slowly develop and expand her business. She has also participated in business skills training workshops. One of the best parts of the Five Talents program for Sumarti was a seminar on how to be a wise woman. Her marriage had been in trouble, and her husband, who was out of work, was often short-tempered. "At the time when my husband had been out of work and easily lost his temper, we were thinking of going for a divorce. I remember my children and they were the reason why I had to bear with the situation. I had to keep my patience and to hold on. The loan from Gerhati did help me during difficult times; it kept me going." "I got help from that seminar. It reminded me to be in a position that would sustain my relationship and get along with my husband," Sumarti said. Today, her marriage is stronger than ever before. And having learned some valuable lessons, she has been able to mentor other women and help them through their own marital troubles. "I have gone through ups and downs in this life," Sumarti said. "I help others by sharing my life with them." Learn more about Five Talents work in Indonesia to empower entrepreneurs. When Tina lost her factory job in Jakarta, Indonesia, her children, Putri and Willy, also lost the funds they needed to cover school fees for books and uniforms. Tina, 40, needed to act fast. While her husband continued his work as a driver in Jakarta, Indonesia's capital, Tina opened a small salon. Unfortunately, it was one of many in the neighborhood. While she was skilled in cutting and styling hair, her business did not survive, in part due to the cutthroat competition on her street. So Tina took Putri and Willy with her to Cileungsi, a suburb of Bogor, which is about 60 km south of Jakarta. She once again set up a salon, and once again, it failed to generate any income. It was around this time that she learned about Five Talents' local partner in Indonesia, GERHATI. The project in Indonesia maintains three core programs that provide financial support, training, and technical assistance to poor entrepreneurs. Tina joined the program and, before long, was able to take out a loan and invest in a business that GERHATI helped her to develop. With the microloan, she bought a small food cart and positioned it outside of a large school in her neighborhood. She stocked it with instant noodles, sodas, snacks, and sausages. So far, Tina has been averaging a monthly profit of 200,000 Indonesian rupiahs, or $20. Most importantly, she is earning enough to cover her children's school expenses, which include the cost of uniforms ($60 a year), books ($10 per semester) and after-school care ($10 a month). Tina is also paying back her loan, while her husband's salary is used to pay for electricity, rent and daily needs. Tina says that she wants her children to get the most out of school, so she does not ask them to do any housework. Her only request beyond studying hard? "Pray every day," she tells them. Help more women like Tina escape poverty and build a brighter future. Your donation to Five Talents supports entrepreneurs with business skills training, savings group formation, mentorship, and financial services. Each of Five Talents' microfinance programs are tailored to meet the needs of the communities they serve. Here, Five Talents Program Director Suzanne Middleton explains how micro-lending, training and mentoring are transforming lives in Indonesia, where Five Talents partners with The GERHATI Foundation. What makes the Indonesia program unique among our other programs in Asia, Africa and Latin America? The Indonesia program is different to other Five Talents programs in two main ways. One, Five Talents was responsible for the development of this program from the very beginning, when the first request came from the Indonesian Anglican church for a micro-enterprise development program among the communities they serve. From board development and training to management and staff hiring and training, Five Talents has been the key partner from the start. Two, GERHATI's outreach is to predominantly Muslim communities. In fact, over 95 percent of the program recipients are Muslim. If we were to take a walk through one of the communities served by Five Talents in Indonesia, what might we see, in terms of living conditions? What does the family unit look like in such communities? Many of the communities suffer from poor or non-existent sanitation services, such as sewers or storm water drains. Access to clean water is often difficult and expensive. Many families – which, on average, consist of three to four children – make do with water from polluted water ways, and many suffer sicknesses as a result. Communities are often marked by uncollected rubbish, which pollutes the water ways and areas surrounding houses, attracting rats and other health hazards. Poorer communities are usually in areas prone to flooding, which occurs sometimes multiple times each year. We talk a lot about the importance of Five Talents' local partnerships with indigenous organizations. Can you explain why such partners are critical to the success of the programs? Helping indigenous communities and churches to help themselves and achieve meaningful empowerment and self-determination is at the core of the Five Talents mission. Assessing what key indigenous people want to achieve for their communities and country is crucial to working out the best methods of helping them achieve this. Partnering with a local organization enables Five Talents to align values and objectives to a well-governed and well-managed program that knows precisely what it wants to achieve and who to target. A strong local organization is well-grounded in its own environment and is there to stay. Our partners are always striving to meet the needs of the women and men in the program. What are some of the ways that the Indonesia program has been evolving to meet members' needs? GERHATI strives to "unlock" the natural gifts and strengths that people have through skills training and provision of a forum that enables them to discover, with each other in groups, the many different ways, individually and corporately, that will enhance their income, knowledge and general quality of life. Basic skills, such as numeracy, literacy, hygiene, book keeping, etc., can be taught by trainers who also encourage dialogue and discussions that help the group learn to work together. In your mind, what's the measure of success for a program like this? What do you look for when evaluating the program's positive impact on individual group members and on the community at large? One of the biggest indicators of success is the expression of hope for the future by the individuals and groups that our partner GERHATI works with. When people, after participating in the program for only a few months, begin to see new opportunities and possibilities for their families in terms of education, new business ventures and income opportunities and healthier living, then we can feel assured that the program is on the right track and its mission and vision is being achieved. Sumiyati's micro-enterprise involves making wedding accessories and renting bridal gowns. She has been in business for 13 years, and her success has made her a respected member in her community outside of Jakarta. As a loan group leader, she hosts regular group meetings in her home and helps to mentor other women who are just starting their own micro-enterprises. Sumiyati is just one of thousands of entrepreneurs in Indonesia who have learned skills and gained access to savings and loans through Five Talents. The transformation you unlock when you give to Five Talents looks a little different in each community. For Edo in Indonesia, the transformation involved an expansion of her micro-enterprise and an escape from unhealthy living conditions. Edo has built a micro-business around selling clothing, small electronics and – most recently – homemade fish crackers. Business skills training and a series of micro-loans from Five Talents and our partner organization in Jakarta, The Gerhati Foundation, helped Edo to grow her profits, which she and her husband used to construct a humble new home. Today, they have a roof over their head, a solid brick wall around them, and a safe, dry space full of hope for the future. "I did not have the courage to own a house before -- even the small one," she said. "With Gerhati and Five Talents, we have built a small house bit by bit from what we earn." The program, she said, gave her the support and determination she needed to make her dream a reality. The program has also brought Edo closer to her community: "I got help from neighbors and friends, as well, during the building progress. I believe this help came from God." The challenges that Edo faces with her business are fairly typical. For example, she shares that "it takes quite an enormous amount of capital to be able to sell electronic goods." And finding raw materials for her homemade fish crackers can sometimes be difficult. Edo also allows customers to take out a line of credit with her in order to make purchases. Sometimes, she says, customers are unable to pay off their debt. Still, she has become a trusted resource in the community. "I have been around for quite a long time so I have known my neighbors for some time," she said. Edo, who is on her fifth loan cycle, has drawn especially close to other group members. In fact, it was from one of them that she learned about the fish cracker business. "When I joined the group, one of them asked if I could help her sell fish crackers. I started by selling them to some kiosks I happen to know about. It's something new to me, and it's going quite well at the moment." Such is the life of a micro-entrepreneur like Edo. She sell clothes that she hand-picks from bulk markets. She pedals electronic items that might appeal to people in her community. And she works with a friend to produce and distribute fish crackers. Every little bit of business contributes to the construction of her home – and to other dreams that now suddenly seem achievable. "There is a vacant lot next to my house," Edo said. "Hopefully I can set up a kiosk -- even a small one -- and sell more items, like rice and top-up credit vouchers for mobile phones." Make a donation to Five Talents today and help more women like Edo build a better life for themselves and their family. Five Talents partner GERHATI uses its savings groups as a mechanism to bring free healthcare to the poor in Indonesia's slum communities. Hotmian, a micro-entrepreneur in Bekasi, Indonesia, used a failed business as a springboard to a successful venture that is now impacting her entire community.